what is it? any specs? 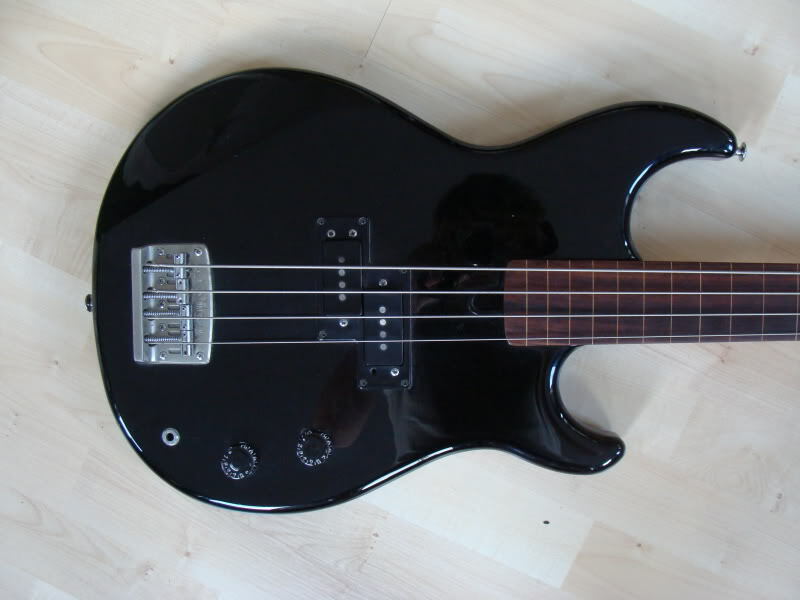 That looks like the same, exact pickup I used for my low/clean channel on my red Yamaha BB300! some company wound them all for Jackson, so I'll bet yours is the same, minus the Jackson cover unless you really mean you have a Jackson branded HB in your red one. It had the same cover on it with the Jackson logo exactly like yours, Mike. I'll try and dig up a picture of it to show you. 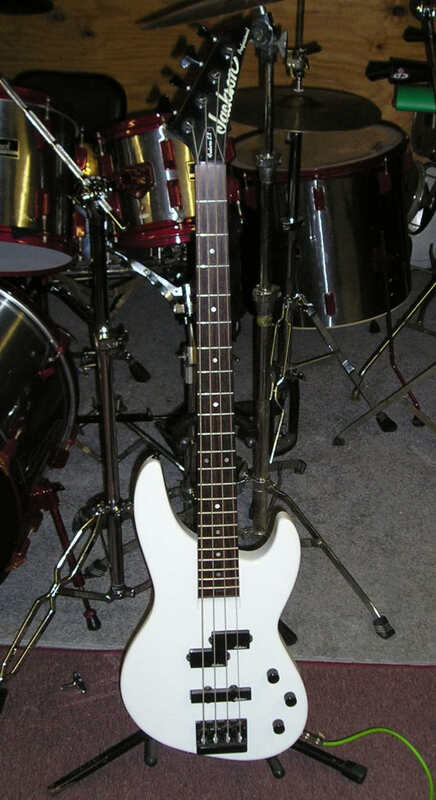 This would have been on my bass that was stolen from me back in 1997.
did you ever see one of these before Eric? one of my friends on TB just picked them up. 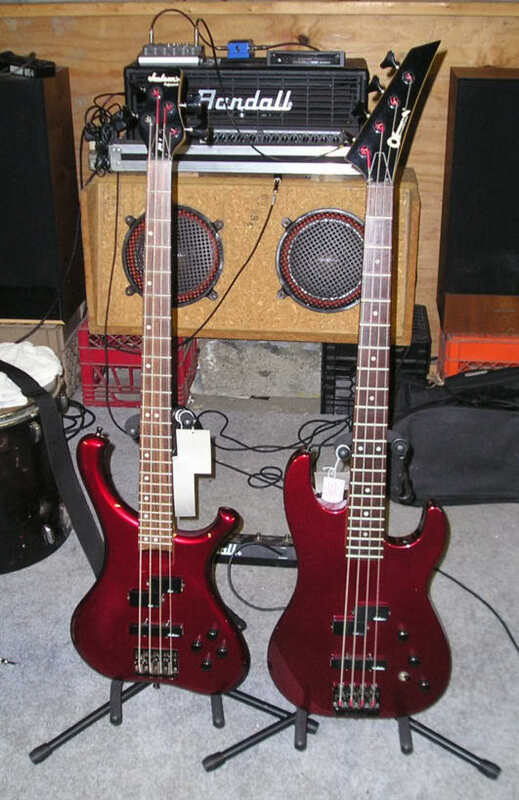 Both are mid-late 80's 'Masayoshi Yamashita' of 'Loudness' signature models. The black one has all EMGs & is fully active. No, I haven't seen one of those before! I totally love the look of the P's being angled like that. Twisted! and look at the bridge on the active one, any idea what they sound like? no he did not get them yet, so I'll ask to hear a clip or something if he wants to post one somewhere. those belong to Gary (Cetera) on TB. He is the one who want's my TBX to add to his collection, so If I ever find a lefty to keep forever, that thing will go. hey ERIC, I'll bet you know exactly what this is attached to huh? Honestly Mike, I do recognize the design, but I cannot recall why. I give up. What is it attached to? I guess yours didn't come with a fancy bridge !!! I've seen just about every combo of pups there is but never a pp/j before...kinda cool and unique. He said he paid a grand for both of them from a collector over in the UK where he lives. They didn't. 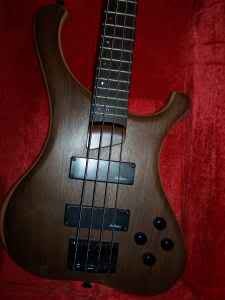 The stock bridges on both of my BB300's were the garden-variety Precision style. That one is cool, though! you think that fancy bridge is on that cause it's a bb400? Could be. 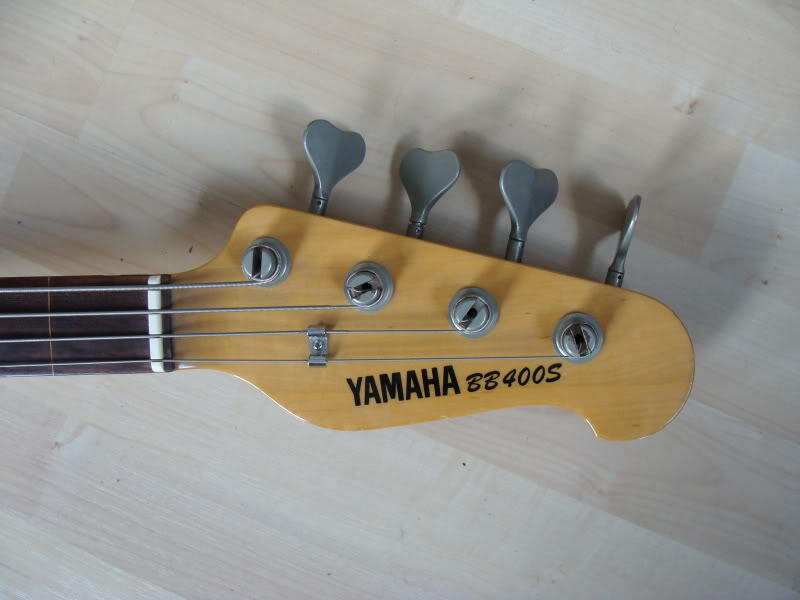 I only had BB300's, although I know that Yamaha made several different models that had all sorts of numbers. good luck to whoever wins it because I'm broke and won't be bidding. but hell for 125 WITH a case, that means I paid like 75.00 for the thing so I'm not gonna cry about it, I'm gonna eat chef-boy-ar-dee for lunch and dinner all week cause now for sure I am broke !!! That thing looks badass and minty. Hell if I had the $$$ I'd buy it for $100 with no case! 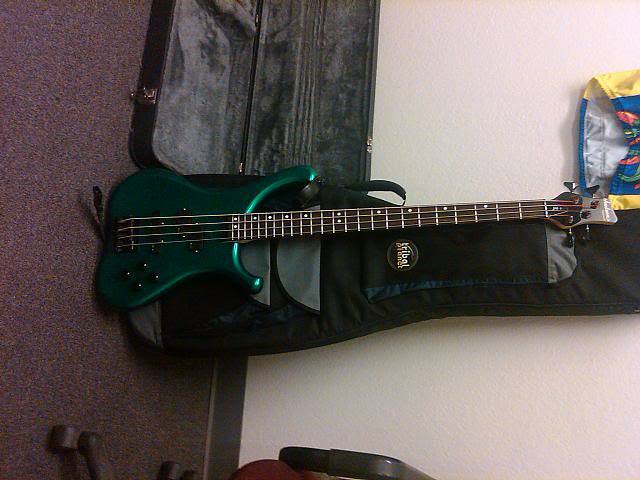 Wow....I really like that bass, Mike! 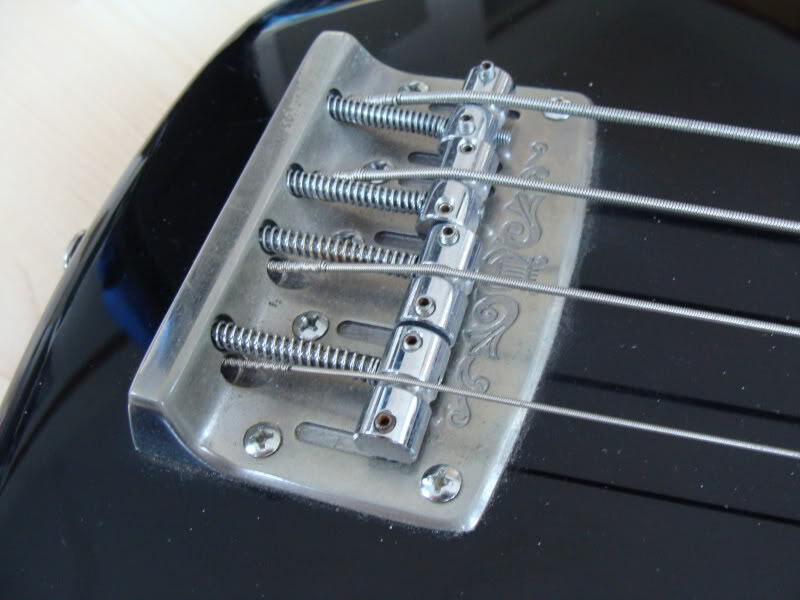 And it looks ideal for a trem! I'm gonna go buy a sheet of waterslide paper and use our color laser printer at work to make an alienware sticker on it to match the strange body. they also made a couple fancier in the series, a SB version JPB8 and a naked oiled version JPB9. 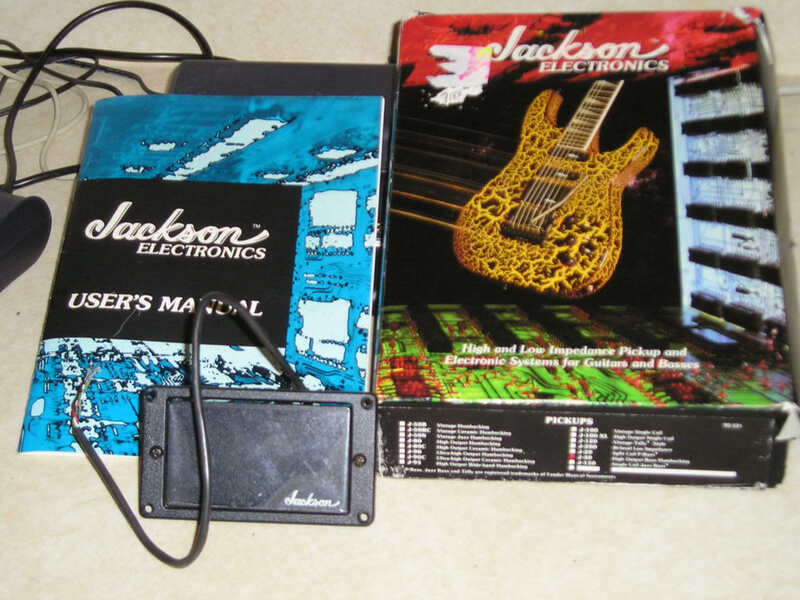 i've always liked these jacksons ... never owned one. lemme know when your gonna sell it mike ... i might want it. 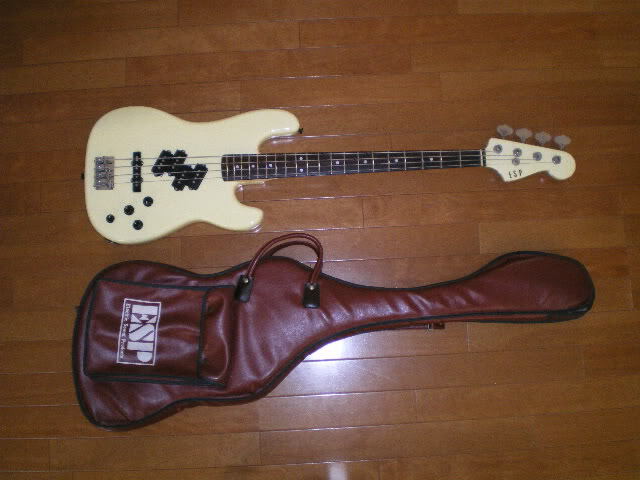 Jackson JPB basses were only made for about 3 months in 1993 and never appeared in a Jackson catalog. 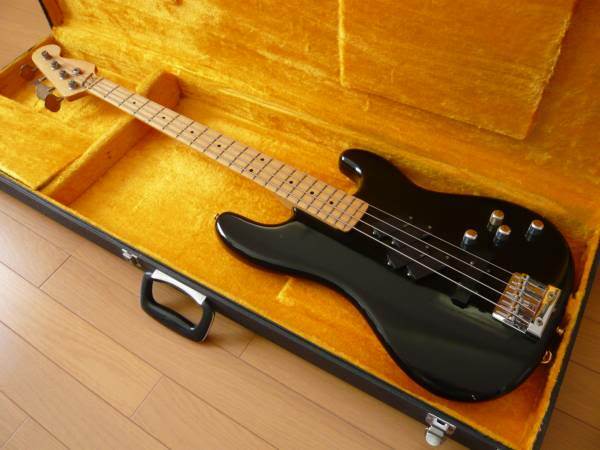 Only 1200 JPBs of all models were produced, of which only a few were the top of the line "9." 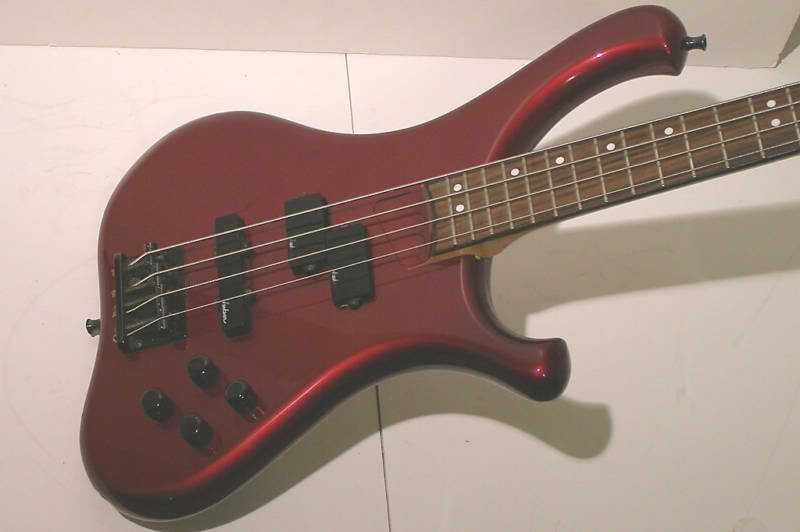 Production was halted due to a lawsuit carried out by a small luthier whose copyrighted body shape had been illegally copied by Jackson for these instruments. 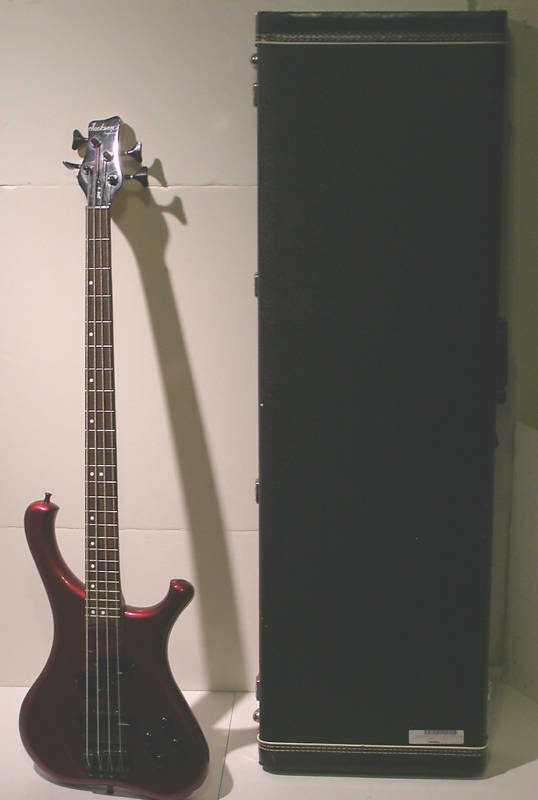 These superb instruments were produced in Japan, and represent the finest bass ever made by the Jackson company. 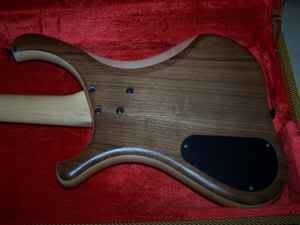 The body is rock maple with padauk caps front and back, and the neck is solid maple. 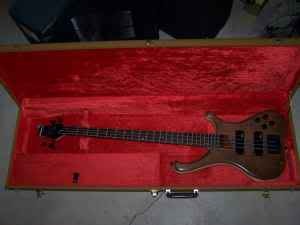 This is by far my favorite bass of yours Mike! Ohh. I forgot. Tough choice for sure! mike ... lemme know if your getting ready to let go of that jackson. I will do just that Mike. yeah ... interesting body style. i like the inlays on the top of the fretboard (like my tarus). i like the color. looks like its fun to play. i'll slap a trem on there. 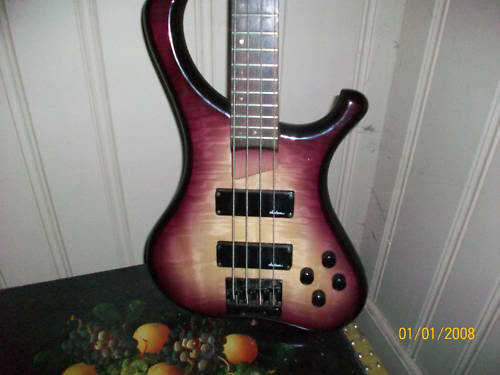 seems like a bass that i can use to have all the fans begging at my feet to play more on. 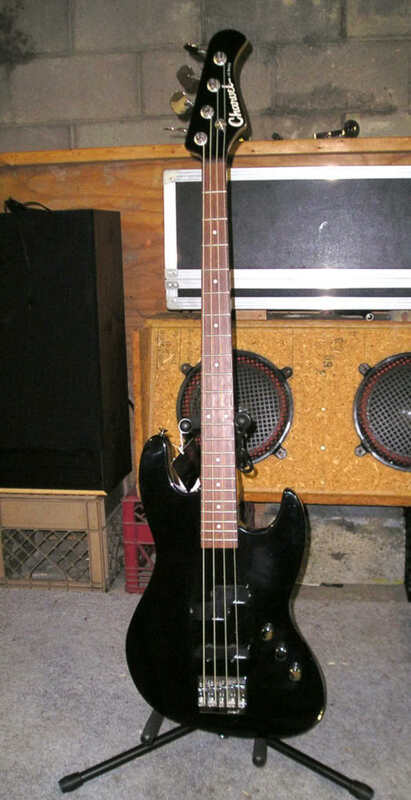 just another bass i'de like to play. Haha I sure did. I do like it, I want one of those in green, like Alien deal going on. Eric should get one in green for his band! Not a bad idea, T! 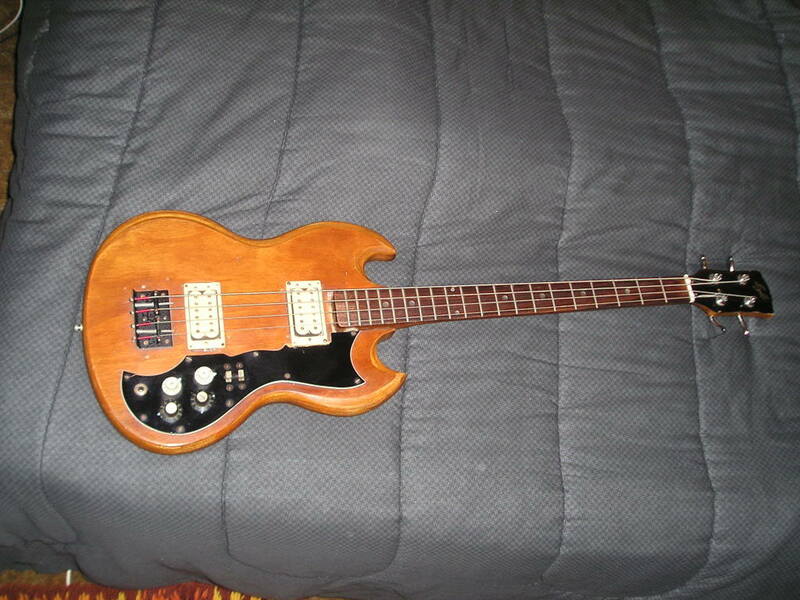 http://www.talkbass.com/forum/showthread.php?t=441185&page=33 post #650 PM the guy and ask if he wants to sell it...He also just bought his not too long ago. That thing is totally sick! your right at home here on btf there mike. Your quote at the end was the most magnificent line of English I've heard since William Blake. It is being sigged. My guess would be that he means your infamous "or something like that" quote. BTW, that video you just did is a complete riot! Absolutely brilliant! it will ALWAYS BE: "Something like that"